We moved another one of our kids this weekend. It is the second time this month that we have helped moved one of them. I am not complaining, my husband and I would do anything we could do for our kids, but we are hoping that they will all settle down and not keep moving. Our daughter Krista moved into a small room in a large house. She shares a kitchen with quite a few people, so I am not sure if she will be doing much cooking. So I decided to bake some muffins and freeze them for her. The next time she comes to visit she can take them home with her; it will be a quick and easy breakfast. 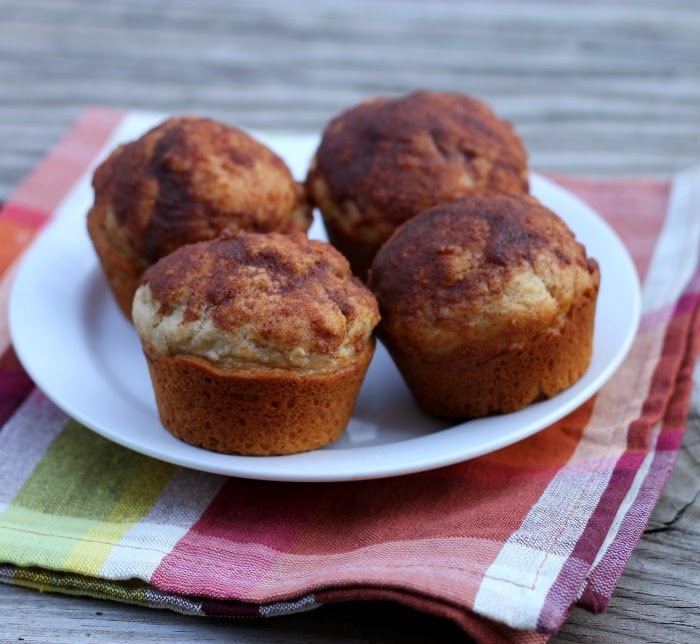 I have seen muffin recipes that are called doughnut muffins and I always wondered if they actually taste like doughnuts or muffins. So I decided to give one of these recipes a try, just so I could satisfy my curiosity. I was impressed with the flavor; they do taste like a cake doughnut and a bit like a muffin. 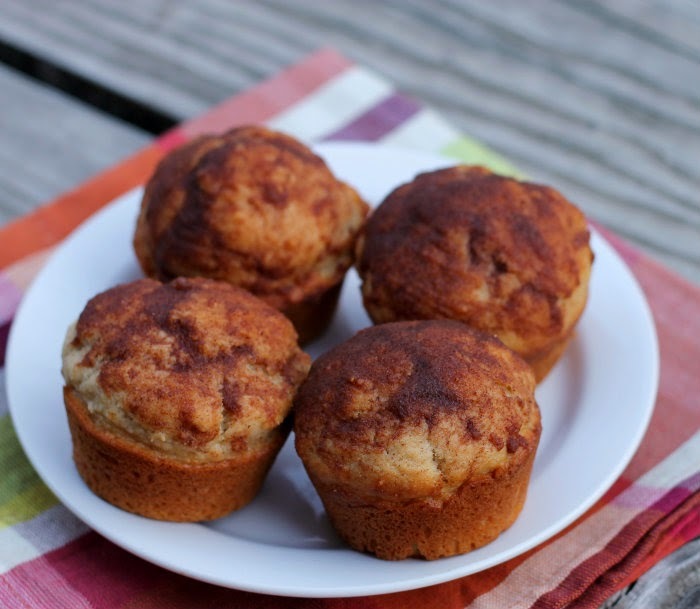 I love the touch of nutmeg and cinnamon in the muffins and the topping; it adds a lot of flavor. Now I am hoping that my daughter Krista will enjoy these. 1. Preheat oven to 350 F degree. Lightly grease muffin pans. 2. In a large bowl add butter, sour cream, and sugar mix with an electric mixer until light and fluffy, about 2 minutes. Beat in the eggs, one at a time, until mixed in. Stir in the vanilla. 3. In a medium bowl, combine the flour, baking powder, baking soda, salt, nutmeg, and cinnamon. Stir until well blended. 4. Using a spatula, mix a quarter of the dry ingredients into the butter mixture. Then mix in a third of the milk mixture. Continue mixing in the remaining dry and we ingredients alternately, ending with the dry. Mix until wee combined and smooth, but do not over mix. 5. Fill muffin tins 2/3 full. Bake until firm to touch about 25 to 30 minutes. Cool on cooling rack a few minutes before removing muffins from tins. 6. While the muffins are baking mix the topping together. Melt the butter and add remaining ingredients stir until well mixed. 7. When the muffins are cooled enough to handle, use a pastry brush and brush the top of each muffin with the butter mixture. I’ve also seen “donut muffin” recipes. I tried one but didn’t like it. From your picture, this one looks great. Time to try again. So sweet of you to bake these for your daughter!! I’m sure she’ll love them – how could she not?! Con vainilla y especiaditos que bien. 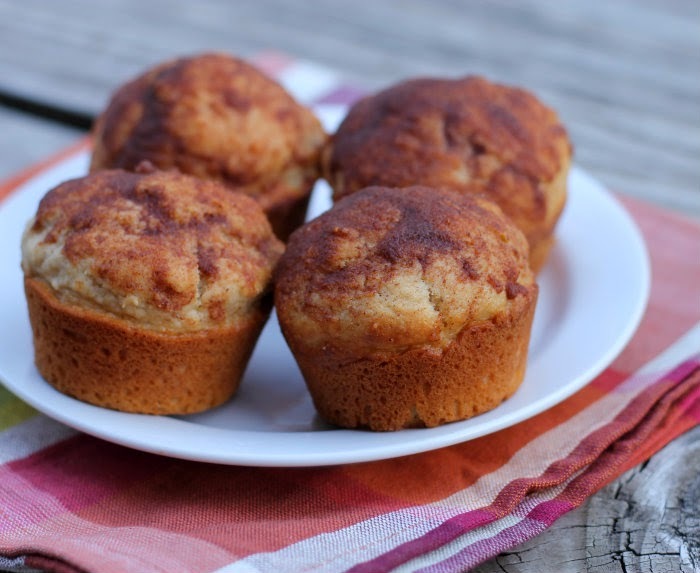 I am sure that you daughter will like these donut muffins, they sure look great…yum! Doughnut muffins? Wow, where have these been all my life! Love the idea of these — thanks so much.